For a natural animal lover, it is easy to pick a dog or cat to have as a pet. Simply because they are the usual home buddies and eat most of the food that human does. But what if you are one of those people who has a unique taste for keeping an animal? Like choosing a reptile? A crested gecko perhaps? But before you rush into a pet shop and get your own crested gecko, you must learn first the things you need to do. You must have a background first of their natural habitat, food source, and the proper way of taking good care of them. So let’s start by tackling the common facts about crested gecko. Correlophus rhacodactylus ciliates, also known as crested geckos, originally came from a group of islands between Fiji and Australia, New Caledonia. 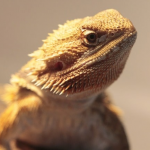 They are one of the most ideal reptile pets for beginners because of its easy requirements. Also, crested geckos are simply tree inhabitants which are perfect for displaying them in the vivarium. Being the rarest lizards to capture, crested geckos became the standard in the pet industry so they are bred in large numbers for future pet owners. Both female and male crested geckos grow only in a moderate size of 8 to 10 inches and weigh about 35 grams when they reach their 15 to 18 months of age. Taking care of them properly can give them a life of up to 20 years. Keeping crested geckos will never be your problem. You can just simply put them in glass terrariums and screen cages, or in a fancy vision cage or Penn Plax cage if you want to display them. Most keepers prefer a lightweight and easy to clean explorariums and reptariums to keep more than one gecko. These cages are best to place outside to give those crested geckos the experience for natural sunlight. However, crested geckos are extremely active especially in the evening, so it is necessary to give them enough space for them to move around. A 20-gallon tall cage is sufficient for a single pair of crested geckos. 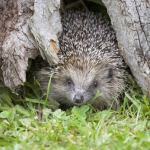 Aside from the size of the housing, owners must also take into consideration the gender of the animals as it varies from babies up until its maturity. Male crested geckos tend to be aggressive when placed in a single house, particularly when there is a presence of a female crested gecko. The remedy for this problem is to put several female crested geckos with a single male crested gecko or a single pair is the best option to maintain the unity in a housing. The good thing about the crested gecko is that they can survive at a room temperature. It does not need to be near a window to have sun exposure as it can generate heat quickly. Unlike plants, the ultraviolet light is not beneficial to them. Keep your crested gecko in a safe temperature between 60 to 80 degrees Fahrenheit. 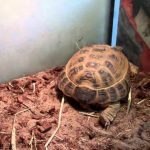 It is important that you keep the temperature at its perfect range for day and night because reptiles are ectothermic or cold-blooded. But it does not mean that their blood is cold that it requires an external heat for their digestion. 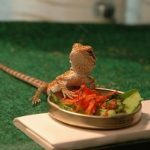 Reptiles are poikilothermic which means their internal temperature is enough for their metabolism. Keeping the crested gecko’s warmth can help them to grow. Along with proper food and maintaining the right temperature, they can grow faster. 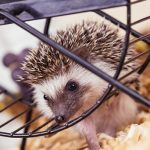 And in the winter season, their growth slows down, as well as their appetite, so using a heat lamp or heating device can help to keep them warm. Finding the Best Lights For Crested Gecko do not necessarily need a special light. However, incandescent bulbs can produce a very hot environment inside a small housing, and even CFL bulbs, so it is important to monitor the temperature accurately. Also, specialty bulbs such as infrared bulbs and moonlight bulbs may affect their natural nocturnal behaviors. You can choose to use a UV light for a crested gecko as they can serve Vitamin D3 from the UV wavelengths and support natural behaviors. They are also quite competitive due to its effectiveness with minimum costs. Just make sure to provide plant covers as protection for eye damage from a constant exposure to UV light. Exo Terra is a brand of the compact fluorescent tropical lamp that is ideal for glass vivarium. Repti-Glo 2.0 has a lower UVB output compared to other light for crested geckos. It is also made to help plants grow by providing a suitable light. A 13-watt version lamp is enough for nocturnal crested geckos or you can use a higher watt for an alternative UV light. This 2-in-1 fixture is made of solid metal with easy handles and 2 ceramic sockets with each socket can manage up to 40 watts. Also, it is the perfect compact combo for fixture amphibians and reptiles like your crested gecko and is exclusive for Zoo Med Nano heating and lighting devices. And not to mention, it comes with a full year manufacturer’s warranty, so you can enjoy this for your pet’s house. Designed for a small type of housing, Zoo Med Nano Basking Spot Lamp has smaller and concentrated basking area. The lamp can provide enough heat to allow your crested gecko to thermo-regulate as needed. 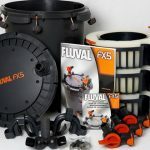 This is an excellent choice for type of lighting that fits any type of reptiles and amphibians. One of the best UV light for crested geckos is the Exo Terra Repti-Glo 5.0. It is a compact fluorescent tropical lamp made especially for a terrarium. This is ideal for a distance of 12 inches that can provide a very useful UV light. Overall, it is a good small bulb for pet owners who want to have the necessary UV light that the crested gecko needs. Not only great for crested geckos, Zoo Med Basking Spot Lamp is popular for other reptiles such as ball phytons, tortoises, monitor lizards, and more. It uses a patented reflective coating that focuses more energy into the area to improve the temperature. The basking lamp is beneficial to make sure that the feeding response, breeding behavior, and daytime activity are well stimulated. If you want to use a light with mini CFL UVB or just a standard size incandescent lamp, then this Zoo Med Mini Deep Dome Light is the right one for you. It can handle up to 100 watts with the single ceramic insulated socket and has a durable metal constructed fixture with a reflective finish which provides a more focus light for your crested gecko. It has a 5.5 inches diameter at base, on and off switch, and can be connected to a mechanical timer to regulate the day and night cycle. If you want a high level of UVB, light, and heat, all in 1 bulb, then Exo Terra SolarGlo is the ideal lamp for your crested gecko. It provides the natural sunlight while keeping a proper balance of UVA and UVB, visual, and heat light that is perfect for professional breeders. This light can deliver up to 20 inches away and ensure the appetite, brilliant colors, and calcium absorption through Vitamin D3 production. Looking for a long-lasting and cost-efficient heat lamp for your crested gecko? Then this Zoo Med Nano Halogen Lamp is what you need. It is a compact halogen bulb that has an incredible long life which means can save you energy. To prolong its life, make sure to avoid having skin contact with the glass, moving, handling, or vibrating the fixture. Another 13-watt bulb that is great for vivarium is this Zoo Med ReptiSun 5.0. As the name suggests, it provides 5% of UVB which can help your crested gecko to absorb the needed Vitamin D to avoid skeletal and metabolism problems. Also, Zoo Med ReptiSun 5.0 has a long life compared to others that only last for a couple of weeks. The standard ceramic light fixture is what Zoo Med Nano Ceramic Heat Emitter is all about. It does not emit any light that can disturb the day and night cycle which can last up to 5 years. This is a great choice for reptiles like crested gecko who needs a boost in ambient temperature. As animal lovers, you must take care of your pets properly, especially for those unique ones. Crested geckos are very interesting pets with their colorful skin pattern which makes them one of the most popular pet reptiles. 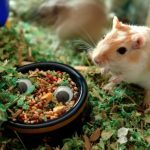 You need to make sure that they will have a safe, comfortable, and clean place to live in, with proper foods to ensure that they will live a long and happy life. Crested geckos live in the trees, so putting up a vertical terrarium is perfect for them. If you own a baby crested gecko then you can start with a 10-gallon housing up to 20-gallon tank. It needs to be placed vertically so they could climb around and not just crawl on the ground. Humidity is also crucial for crested geckos. 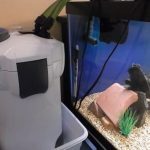 You have to spray some water to the entire tank at night and few in the morning so they could drink. 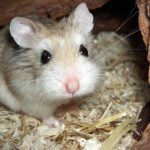 Using a screen cage when you are in a humid place can be beneficial to your pets. 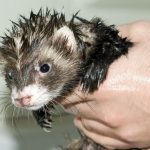 Pet stores have available soil meant for reptile housing that is usually a combination of peat moss or coco fiber and soil. Place enough amount of substrate to the terrarium until it covers the bottom well. You just have to keep in mind that ingesting any type of substrate can harm the crested gecko so it is advisable to use newspaper, paper towels, or carpets meant for them. Having plants such as pothos and bromeliad inside the housing will give your crested gecko the opportunity to climb or hide under them. 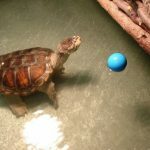 It gives them the natural feel of their habitat and regulating the humidity in the terrarium. You can add suction cupped plants to place on the side of the cage. Just like any other pets, you can give your crested gecko something they can play on. You can put pieces of driftwood or bark inside the terrarium. They will surely love to climb and crawl under them making them feel just like their natural habitat. Even when they are cold-blooded, crested geckos came from warm habitat so it is necessary to keep their housing warm all the time. However, do not make it too hot, a temperature from 60 to 80 degrees Fahrenheit is the perfect range. You can add in a temperature gauge to regularly monitor the temperature inside their terrarium. When the temperature is between 60 to 80 degrees Fahrenheit, it is a must to maintain the humidity inside. Buy a hygrometer and attached it to the side of the terrarium to keep track on the exact humid inside. Don’t forget to spray a bottle of water once or twice a day or add a cool mist humidifier as an alternative. To achieve a spot clean terrarium for your crested geckos, you need to wipe any mess using a paper towel every day. And every once a week deep clean it using a soap and water and rinse thoroughly. Also, clean their water dish and remove any dirt from the plants. 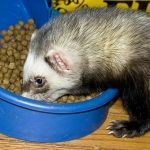 Animal food varies depending on what type of pet you have. For reptiles such as the crested gecko, there is a certain food that is meant for them. You can go to the nearest pet shop and ask them what’s best for you pet. Pet stores offer a wide variety of mix powder that composed of all the nutrients for your crested gecko. Just add water to the mixture and it is good to go. Feed them three times a week or more as much as they want to eat. Although the powder mixture will keep them full, your crested gecko will surely love a few treats every now and them. Bits of fruits such as peaches and apricots are best for them. Also, they enjoy eating crickets, you just have to dust them with calcium powder before feeding it to them. Keep their dish full of water every time. You can place a shallow dish inside as the bottom part of the terrarium. Make sure to clean it daily to avoid any contaminants. Choosing a reptile like a crested gecko to be a pet is a good choice. Aside from being hands-off animals, they are not aggressive and can get easily attached to human interaction. They also consume a small portion of food so you don’t have to think much about the budget for them. You just have to be extra careful in handling them as their tail could drop off, especially when they are still babies or scared. Unlike other lizards, their tail will not grow back. Manage to not startle your crested gecko or be tempted to grab its tail to avoid causing any problems. Whatever pet you may have, giving them a good housing, food, and environment will make you a great keeper!